These 12" Deep Contour Shelving units are available 28" or 32" wide and help to maximize your vehicles storage capacity. 32" wide unit fits neatly over your vans wheelwell, while the 28" wide unit can be used in front of vehicle door. The top shelf is 9"D, middle and bottom shelves are 12"D. A 3" reinforced lip on each shelf keeps items on the shelf. Heavy-duty 18-gauge shelves are perforated on 2" centers to accept dividers. These 42" high units are also available with or without back and door. Open bases on 32"W unit fits neatly over wheelwells, and the base footplate gives you additional floor storage. 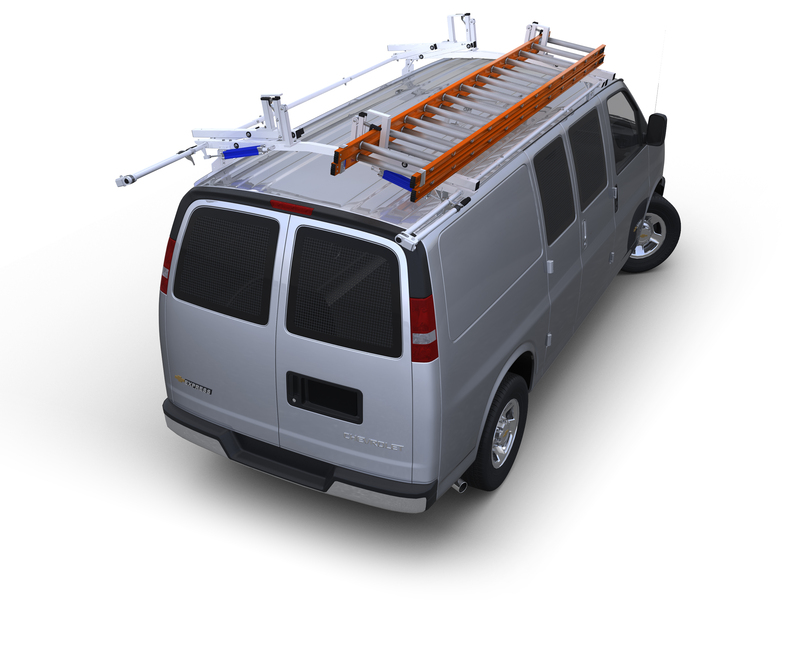 These heavy-duty steel units have a durable powder coat finish and come completely assembled, ready to install into your van.